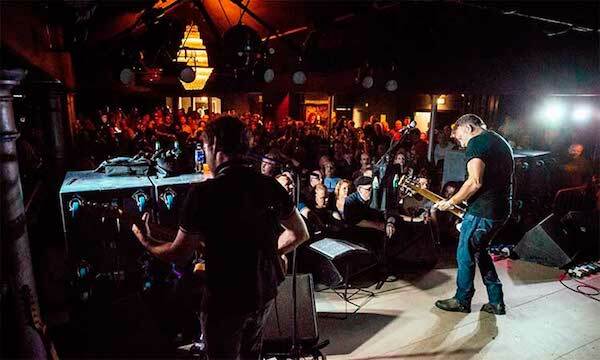 Soundsphere talks to Dale Williams, Events manager and local band promoter for Fibbers. This guy has been helping young bands out by giving them that all important gig experience. At the age of just seventeen, Dale set up his own business Evolution who have organised countless events to help promote young talent. Now Fibbers is arguably York’s legendary music brand, and venue. Unfortunately, York has lost some of its better known venues over the past decade (The Duchess and Stereo) so for bigger known artists, this is often they’re place to stop off on tour in York. 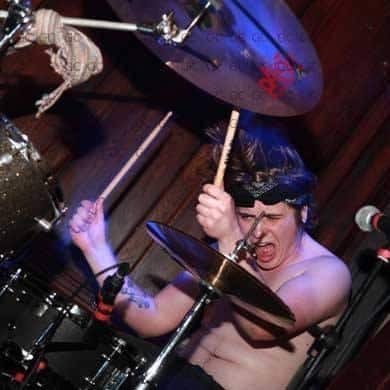 So we spoke to Dale about his role at Fibbers and how he still gets a buzz from seeing the local bands shine. S] When a local band is supporting a more known band on their tour [The View, Ash, Buzzcocks] does this bring in more punters, than if the band just had a tour support? D] It’s bloody impossible half the time to get a local on the bill. However, if you can twist an agent’s arm and ‘blag it’ you do see the results. Half the time these are bands that they’ve grown up listening to so it’s only natural they buzz off it. You’ll see the show plastered all over social media and they tend to be able to engage sections of the public that it can otherwise be hard to get involved. S] So opposed to lesser more established what’s the average turn out when a local band is headlining? D] Now, that all depends. Naturally you get more established locals, those who’ve been playing in and around York for a few years. They’re usually doing 250+. But local bands can pull anywhere from 50 to a 600. It generally depends how much work the band are willing to put in. Grafters like King No One and Faux Pas have had the venue brimming over Christmas, and it’s really good to see. I think we had 2,000 people through the doors to see local bands in just under two weeks, which is pretty f*ck*ng incredible. S] On average how many hours of promoting from Fibbers office do you think it takes to make an event successful? D] Jesus. Again it depends. You see big shows that come in that sell out as soon as it’s announced and on sale. But with the ‘smaller’ stuff generally it’s a long hard slog. I think it would be difficult to put an exact number on it as turn out varies on several factors. If the show is priced right with no clashes, I think you still need to be putting at the very least 10 hours a week in if you want a decent show. And everyone needs to get on board; venue, bands, the promoter etc. It’s a community at the end of the day and when everyone pitches in the results really shine through. S] Is it easy to tell by a bands performance if they’re disappointed by the turn out of a crowd? D] Yeah of course. Everyone loves to play to a full room, and it’s always disappointing to see a low turn out. Thankfully it’s a rarity in our parts, but when a show hasn’t sold as well as a band or artist expects, you can feel a degree of disappointment. But it’s the entertainment industry, all the best bands started playing out to no one, and it’s a long climb to the top. Conversely, when you see a full room and it’s bouncing, the buzz they leave with is priceless. S] In terms of finance how hard is it to keep a venue open? Have you ever nearly lost your job due to a bad turn out? D] The rate in which independent venues are closing all over the UK is pretty alarming. 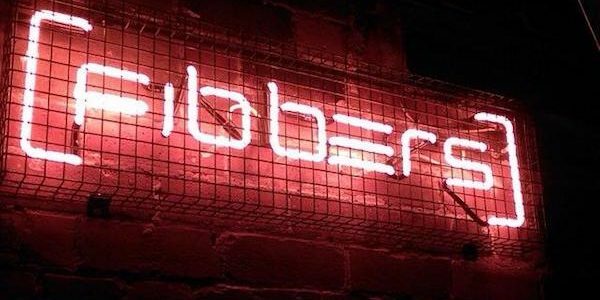 Fibbers has been the pillar of live music in York for 25 years. It’s where live music was birthed in York and it’s effects are seen throughout the city with such a vibrant and diverse music scene. The only downside has been the recent loss of The Duchess, but at Fibbers we are thriving more than ever. The clubs are rammed, the gigs are booming and things are looking up for York. There’s a good little movement developing with guitar music at the moment and it’s looking really promising for the future. S] In the past few years, you guys have moved location. Whats the Capacity of the new gaff? D] 610 capacity in Fibbers where we host our live music events. For club nights we can extend to 810 if we open up Bierkeller. S] So we have talk a lot about local artists, you got some local names we should be looking out for. Anyone who has really impressed you live recently? D] There are loads class bands out there at the moment. Young bands like Naked Six and Faux Pas are starting the get the right recognition and you’re starting to see them really fill a room, and scoring some decent supports all over the county. Avalanche party are killing it too- they just seem to keep getting better and better. My ones to watch for 2017 are definitely Serotones; a great little indie four piece from York to keep your eye on. S] Any last comments about your role at Fibbers, man? D] I love working in music and it makes me thankful every day that I can wake up in the morning, and get paid to do something I actually enjoy. It’s a great opportunity for me and seeing a room full of people watching a band or a DJ is f*ck*ng brilliant. There’s some class bands coming through at the moment and putting a gig on now is more fun than ever.